Franklin Avenue is an east -west street in Los Angeles filled with architectural gems. Starting in the East the first landmark is Los Angeles Historic-Cultural Monument #126 known as the Shakespeare Bridge. Built in 1926 and named after the playwright, William Shakespeare, it sits at the intersection of Franklin Avenue and St. George Street in the Franklin Hills neighborhood of Los Feliz. The south side of the bridge looks down onto the campus of Lycee International de Los Angeles designed by famed architect John Lautner. Just as you leave the bridge you’ll see the last home designed by architect Rudolph Schindler known as the Schlessinger Residence. And up next is the legendary John Sowden House designed by Lloyd Wright, son of Frank Lloyd Wright. Continuing west you end up in Franklin Village. 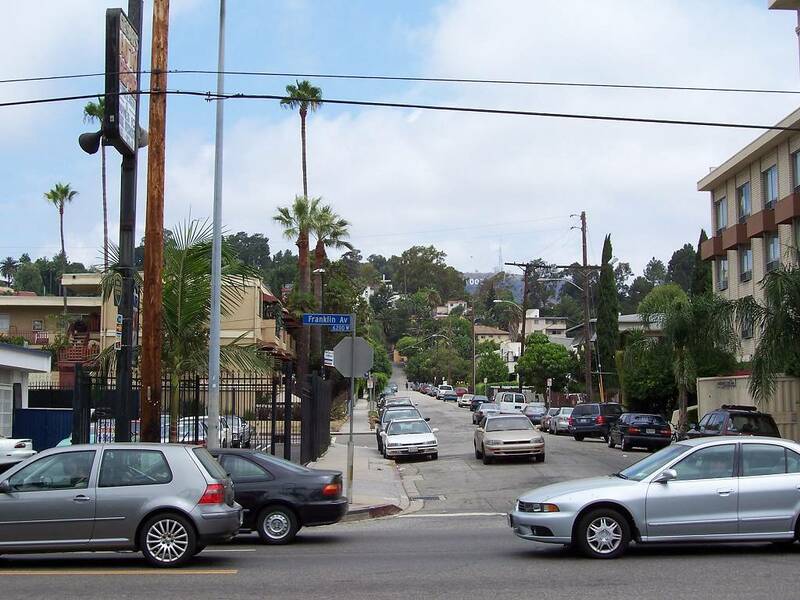 This is a neighborhood located at the base of the Hollywood Hills. On the south side of the avenue is the Château Élysée. Once a long term luxury rental for celebrities this 17th-century French-Normandy style multi level building is now the Church of Scientology Celebrity Centre. Keep going and at the corner of Franklin and Gower Street you can snap a pic of the Hollywood Sign. To read more about architecture in Los Angeles click one of the topics below.